Josephine and Charles celebrated their long awaited Vancouver Sage Bistro wedding this past weekend. Arguably one of the best weather weekends we’ve had so far this year. The temperature hovered in the mid to low 20 degree mark, the sky was clear, and there was even the hint of a gentle breeze around the UBC endowment lands during their wedding ceremony at the UBC Rose Garden adjacent the Chan Centre. We also spent some time at Coal Harbour, but that area was crowded. It was almost festive given the size of the crowds around the water that day. But UBC was much quieter, and with the newly done event venue, their Sage Bistro wedding provided an ideal balance between modern decor and the natural beauty visible from just outside the floor to ceiling windows of the venue. 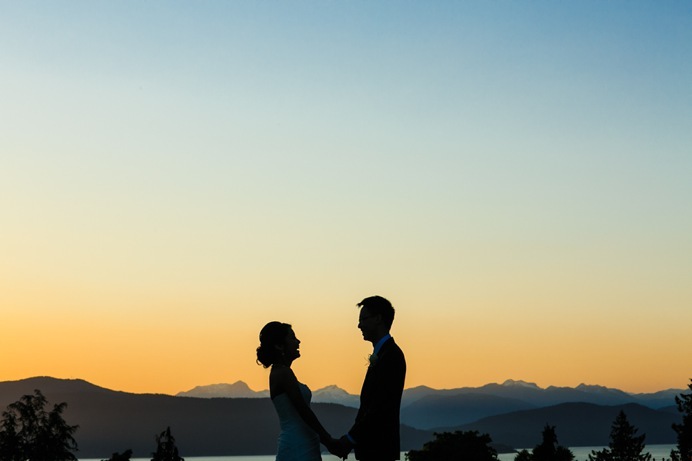 Below is a sneak glimpse at what Vancouver looked like that evening for their wedding reception. TIP: If you’re looking for a modern and newly renovated Vancouver venue for your wedding, check out the Sage Bistro. It’s impressive what they have done with the place, there’s lots of parking for guests, the UBC Rose Garden offers a great scenic location for wedding ceremonies, and the views of the water for your reception are stunning.